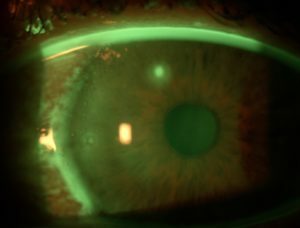 This patient was wearing her contact lenses for too long without a break. She developed a painful red eye one morning and we started treating her with eye drops. Thankfully this treatment resolved the infection and in a few days her eye was back to normal. Unfortunately this patient was not wearing his safety spectacles when drilling. The drill bit broke and a piece hit his central cornea. It penetrated the anterior portion of the cornea leaving a scar directly in front of his pupil. We are treating this with eye drops in an effort to reduce the central scar. 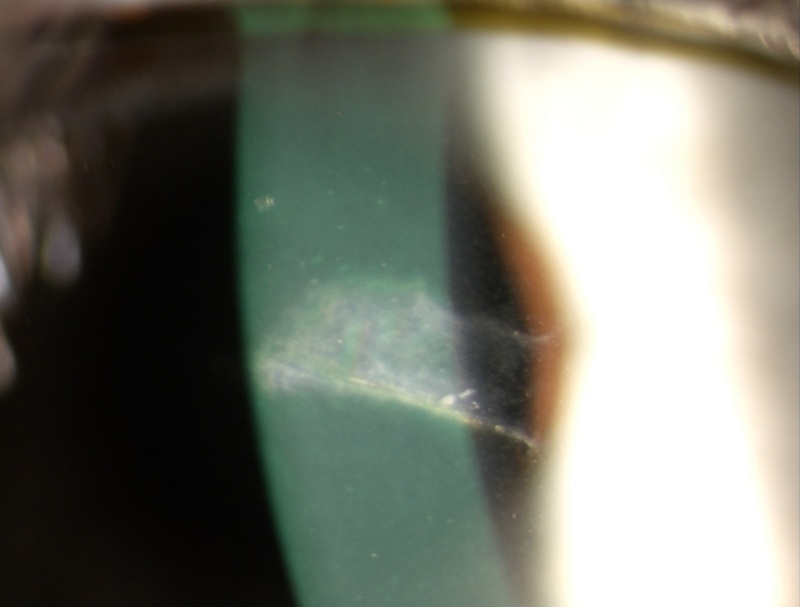 This patient complained of deteriorating vision with her spectacles while driving. 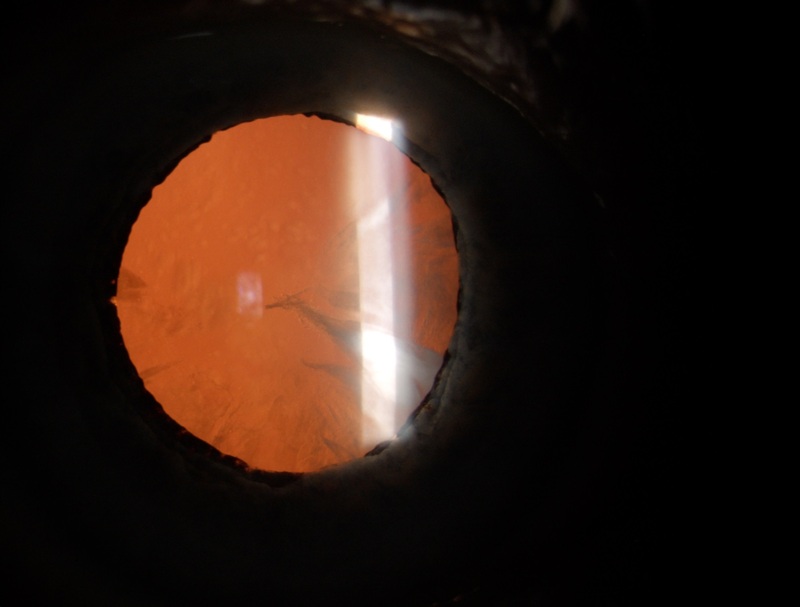 We noted a moderately dense cataract in that eye and referred her to an ophthalmologist for treatment.